A 200-year old family run rustic stone and brick inn with plenty of character and personality. A charming welcoming atmosphere, situated in the heart of the village overlooking the River Bonet. Take time and relax over a cup of coffee or Afternoon Tea. Highly recommended for meetings or catch ups. 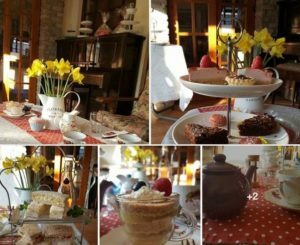 A hidden gem after you enjoy Dromahair on the Lough Gill Loop.